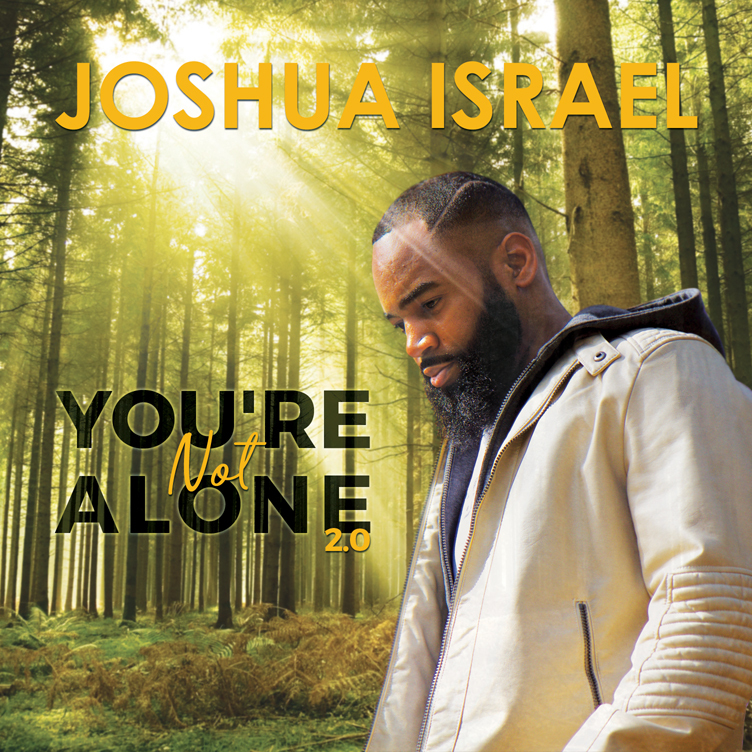 April 17, 2018 (Springdale, Arkansas) – Award-winning Christian entertainer Joshua Israel releases a new single today, titled “You’re Not Alone.” The song, which is being serviced to gospel and praise & worship radio outlets, is being released on the J. Israel Family Entertainment Inc. label. “I believe that God has anointed my life and I whole-heartedly believe that it is through spiritual songs that people are delivered, healed and made whole,” Israel said. Israel is a preacher, songwriter and praise and worship leader. He and his wife, Latisha, to whom he has been married for 20 years, have seven children. At the age of 19, Israel surrendered to the call to preach the Gospel, setting him on a journey devoted to uplifting, empowering and encouraging others through preaching, ministering in song, and visiting schools, nursing homes and many other locations. As an emerging indie artist, Joshua Israel & The Tribe was chosen as the 2016 and 2017 Atlanta Gospel Choice Award winners for Best Group/Duo. Israel has made numerous appearances on TBN, TV 57 (WATC/Atlanta), Internet TV, Radio One Gospel Jazz Live (Atlanta), Bobby Jones Presents, Rev. Jesse Jackson, Sr. Rainbow PUSH Coalition Conference, local festivals, and many local churches. To learn more about Israel, visit www.jisrael.org, like Israel on Facebook and follow him on Instagram and Twitter.